Jim Collins has been an inspiration for me for decades. He correctly identified what went wrong at CompuServe when we, our owners and leadership got cocky. The result? AOL and Worldcom bought the components of CPS when we should have bought them. Later I learned, Jim Collins was a fraternity brother of a CEO I worked for. We had the chance to learn from Jim first-hand. It made a difference as we built a company that sold to PeopleSoft. Recently, Jim was the keynote speaker at Vistage Chairworld where we go to learn and develop. 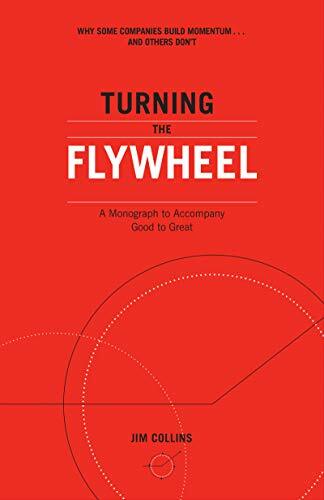 In his new short book, he has codified the Flywheel concept that identifies the various processes that great companies link together in a system that sustains and accelerates growth. This is just like a mechanical flywheel sustains energy in a motor or other system. We will use this powerful model with our Vistage CEOs and other other clients this year.